The historical profession lost another one of its giants. David B. Davis was an eminent scholar of slavery and abolition, author of a number of magisterial works, and founding director of the Gilder Lehman Center for the Study of Slavery, Resistance, and Abolition at Yale. He was an intellectual in pursuit of truth and wisdom. In his presence one always learned something. He was a deeply spiritual man who saw the historian’s craft as a search for the minds and souls of people in the past. He devoted his life and career to understanding the place of the inhumane but profoundly important and persistent practices of slavery and racism in the world. He was a philosopher at heart, a lyrical writer, and defined why we do history. We stand on his shoulders. At the GLC we carry on his legacy every day. We loved him. His portrait hangs on the wall at the GLC amidst a large portion of his book collection, still containing his post-its, book marks and thousands of annotations. We will always have him nearby. As I’ve mentioned before, we’re getting ready for a pretty big construction project here at the Abraham Lincoln Library and Museum. After adding some new exhibit space, a kids’ learning lab, a programming and a collection processing room, and making other structural improvements to the building, we’ll move to the most exciting renovation phase: new exhibits on Lincoln’s presidential years in our second and third galleries. 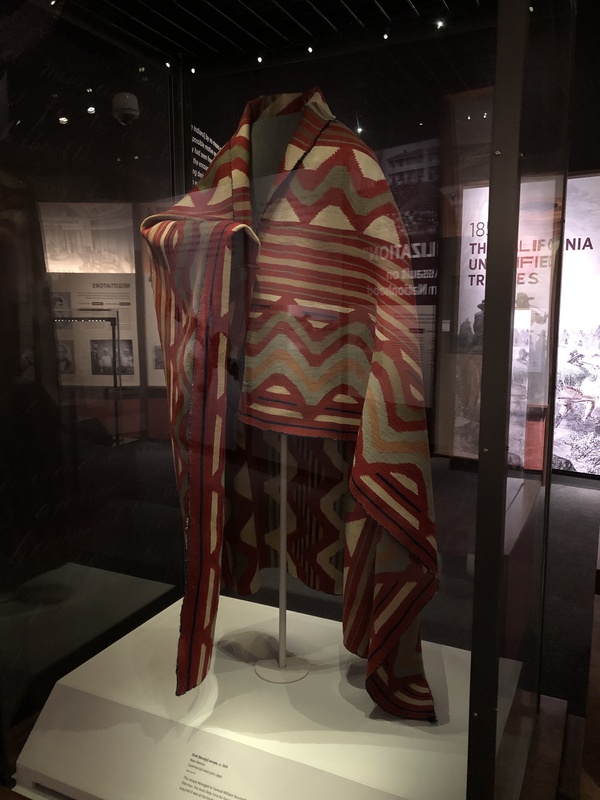 Along with an overhaul of our Civil War displays, this will complete the transformation of our permanent galleries that we began last year, when we installed a new exhibit on Lincoln’s life before the presidency. 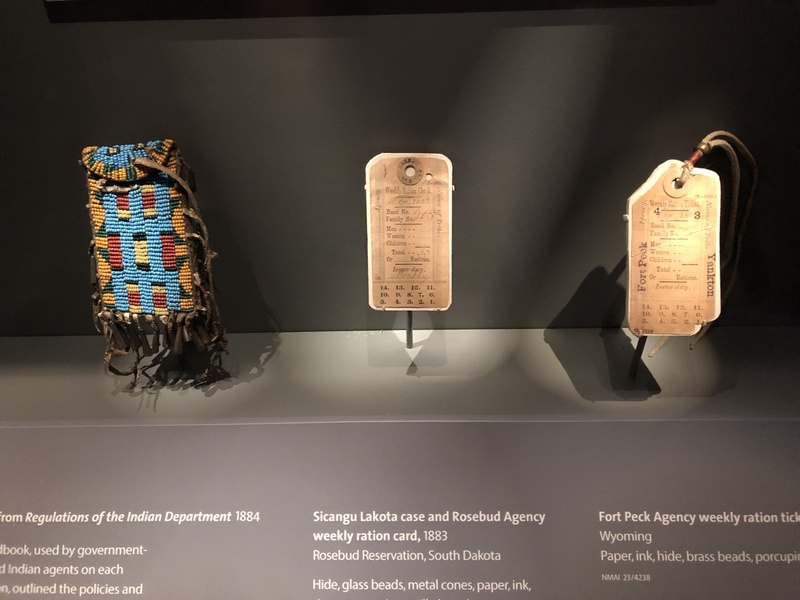 The first step in creating a new exhibit is deciding how you want to organize the material. We knew from the outset that we’d start out with his nomination and end up at Ford’s Theatre, but we didn’t plan on a strictly chronological path between the two. Our early outlines took a more topical approach, with sections on emancipation, Lincoln as commander-in-chief, civil liberties under his administration, his family’s private life in the White House, and so on. But when you’re dealing with the Civil War and Lincoln’s presidency, there are points where a topical approach mucks things up. As James McPherson noted in his preface to Battle Cry of Freedom, you run into problems when you try to break the Civil War era into self-contained subjects without recourse to narrative or chronology. Political, military, economic, and diplomatic events were inextricably interrelated. 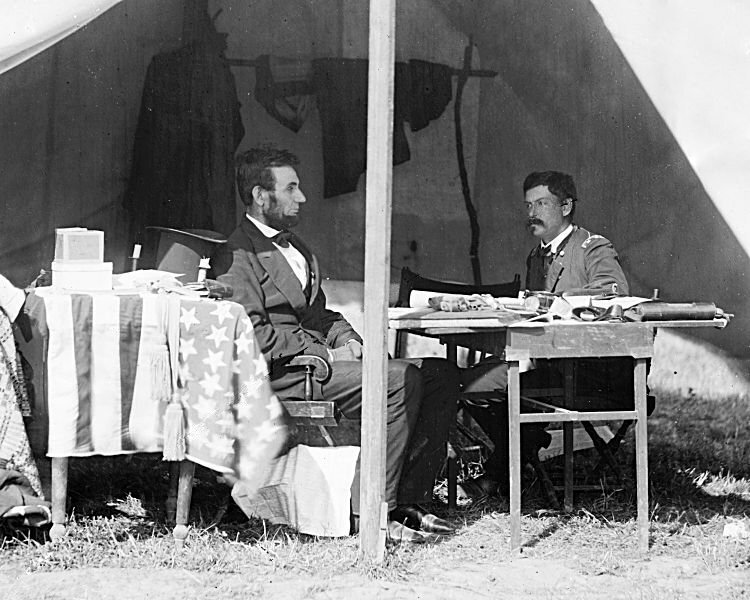 Lincoln’s decision to issue the Emancipation Proclamation was all tangled up with the course of the war, from Union reversals in the summer of 1862 to Lee’s check at Antietam that fall. Similarly, it’s hard to explain Lincoln’s re-election without making sense of the military situation in 1864. Lincoln’s own development also calls for a more chronological approach. His attitudes toward the war changed so much between 1861 and 1865 that it’s difficult to speak of “Lincoln’s policy on emancipation” or “Lincoln’s policy on Reconstruction” apart from the specific crucibles that shaped those policies. One of the big ideas we want to convey is how the war transformed his thinking, and how he himself became a transformative agent as his willingness to wield presidential power shifted. Lincoln claimed that events had controlled him rather than the other way around, and whether that’s accurate or not, the fact that he believed it means you have to take those events into account when you’re trying to explain why he did what he did. One of the most notable instances of dramatic license in Jurassic Park is the venom-spitting Dilophosaurus. As far as we know, neither Dilos nor any other dinosaur had venom, let alone used it as a projectile weapon. 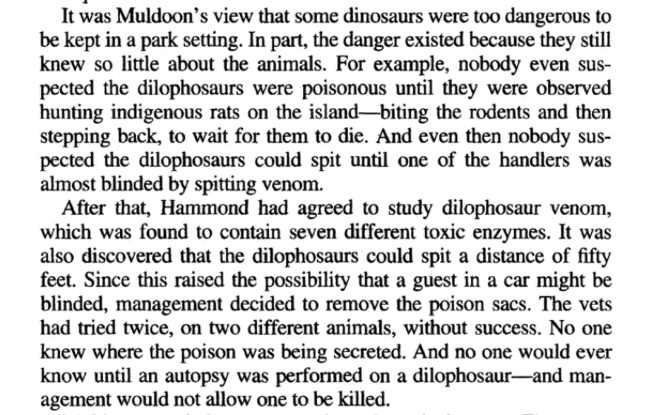 I can understand if people are simply annoyed that it’s [i.e., a venomous Dilo] an overused trope in pop culture now, but the idea as originally in JP is entirely reasonable, not too different from the informed speculation of All Yesterdays. Chrichton includes this to build upon the theme of what All Yesterdays calls “unknown unknowns” in he study of prehistory. Things that we aren’t simply unsure about, but are completely surprised by because we had no particular reason to suspect them. Knowledge has its limits. Moreover, there are limits to what is knowable at all. 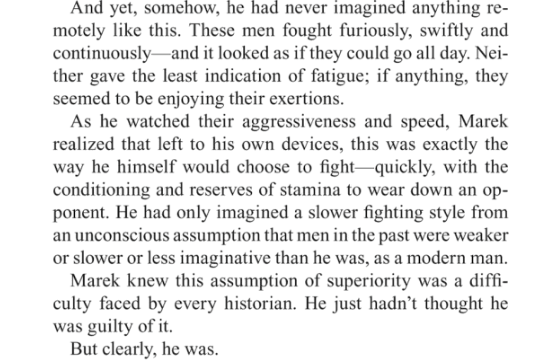 It’s a recurring theme in Crichton’s work. His protagonists tend to be scientists, researchers, academics, experts—people whose business is to know their stuff. They find themselves confronting the subjects of their expertise in visceral and unexpected ways. Paleontologist Alan Grant must traverse an island populated with live dinosaurs in Jurassic Park; primatologist Peter Elliot faces off against a murderous breed of apes in Congo; and medievalist and experimental archaeologist André Marek gets stranded in fourteenth-century France in Timeline. Readers be warned: spoilers for Crichton’s Micro and Congo in the next paragraph. Sometimes the characters’ specialized knowledge saves them. In Micro, when a group of young scientists find themselves shrunk to insect size, they survive by weaponizing their own research projects. And in Congo, the expedition members escape the jungle after Elliot is able to decipher the apes’ language. Time and time again, however, Crichton’s characters confront the limits of their expertise. It’s not that their expertise is defective. In fact, many of his protagonists are exceptional and ambitious researchers with impeccable academic pedigrees. But their academic training and research can’t prepare them for the unknowable unknowns. That’s especially true of the characters who study the past. The distant past, by its very nature, is something one can’t experience firsthand, at least not in its totality. Both Jurassic Park‘s Grant and Timeline‘s Marek specialize in long-dead subjects. When they encounter these subjects as living, breathing antagonists, the experience takes them across the frontiers of what is knowable in their respective disciplines. Marek is an avid practitioner of living history. 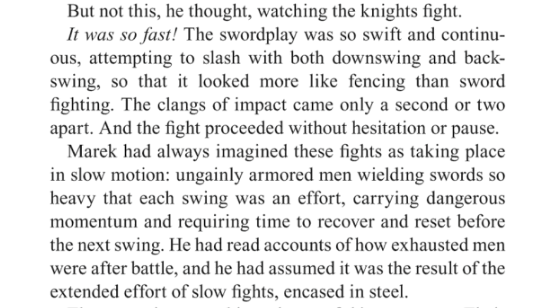 Steeped in medieval languages and customs, he practices jousting and archery in his spare time. When a time traveling accident leaves him and and his colleagues marooned in medieval France, he’s the only one who seems right at home. A fellow time traveler asks, “André, is everything all right?” Marek replies that he has a lot to learn. In Crichton’s thrillers, the problem of unknowable unknowns is the stuff of life or death. For those of us who study the past here in the real world, a world without time machines and de-extinction, the problem is less immediate. But it’s still one worth considering. Like Marek, we all have a lot to learn about the times and places we study. If we could travel to the settings of our own work, what unknowns would surprise us? And how should an awareness that these unknowns exist inform our study of what we think we can know? Here’s something I wish I’d known before I started using Zotero: While it’s handy for generating footnotes and bibliographic entries, it suuuuuuucks when it comes to note taking. In fact, I don’t even know why Zotero, EndNote, and other reference management programs include a note taking function. When I’m writing, I want all the information I need in front of me and in the order in which I must enter it into my draft. Consider the old fashioned, physical index card, a humble tool employed by generations of historians past. An elegant weapon, one might say, from a more civilized age. Sure, writing out hundreds or thousands of them over the course of a research project is laborious. And if you lose them or your office catches fire, you’re screwed. But in terms of flexibility in organizing and sorting information, you can’t beat them. You can stack them, shuffle them, and tack them to a board in whatever order best suits your project. When you’re ready to write, each little nugget of information is right where you need it. Now consider Zotero’s electronic “note cards.” You can fill out as many as you want for each source. But what if you need one piece of info from that source in your first dissertation chapter, and another piece from the same source in your third chapter? I mean, Zotero’s notes are fully text-searchable, but who wants to do a word search to find a particular piece of information while you’re writing? What this means is that Zotero and other reference management applications add an unnecessary step in the research and writing process. After you’ve assembled your sources and taken notes, you then have to pull your notes out of the application and rearrange them into the proper order, either by printing them out or exporting/pasting the contents into another application. Next time I take on a major research project, I think I might try taking notes in Scrivener, or perhaps just a standard word processing program. Either way, the only thing I’ll be using reference management applications for from now on is generating footnotes and bibliographies. I’m delighted to report that the Abraham Lincoln Library and Museum received a number of awards at this year’s Tennessee Association of Museums conference. 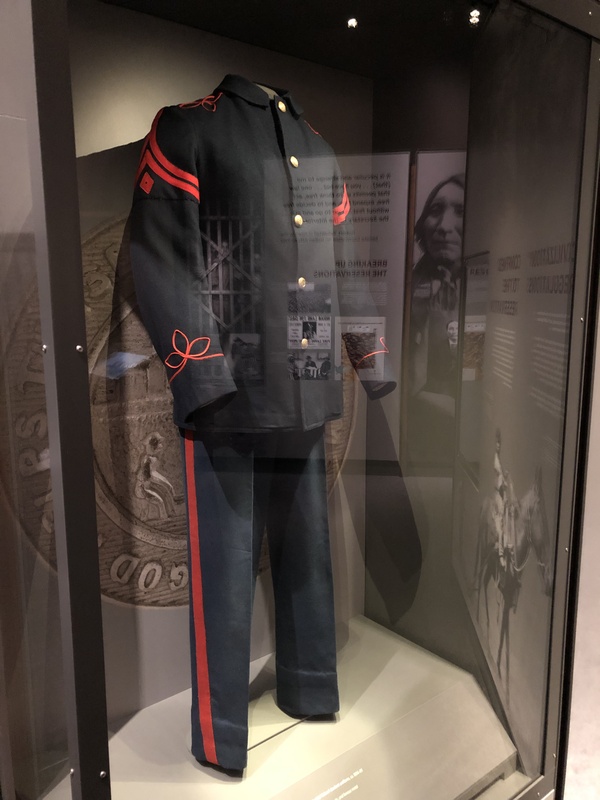 Our Civil War STEAM event and Skype in the Vault program earned Awards of Excellence, and our new permanent exhibit Log Walls to Marble Halls received an Award of Commendation. The big news, though, is this: Civil War STEAM received the prestigious Past Presidents Award. 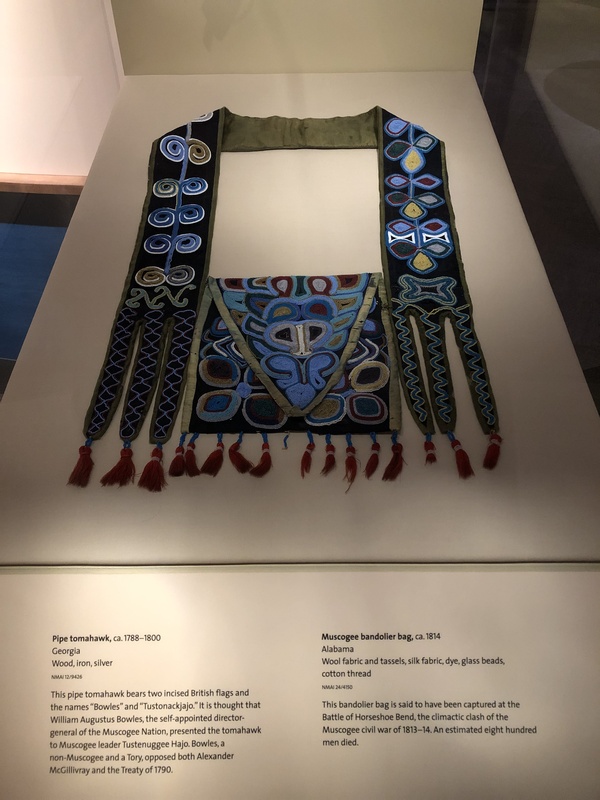 Needless to say, I’m very proud of my staff, and very grateful for this recognition by our colleagues in the museum field. Kudos especially to Program Coordinator Natalie Sweet, who was the dynamo behind the STEAM event. Big thanks also to Owen Design Group and 1220 Exhibits, who made Log Walls into a reality for us. And hats off to TAM for putting on the most enjoyable, collegial, and helpful museum conference I’ve ever attended. See you folks again next year! Well, folks…it’s been a while. Between running a museum that’s about to undergo a major renovation and trying to write a dissertation, the blog obviously fell by the wayside there for a few weeks. I’m going to try to get back in the habit. One of the reasons I slacked off was the fact that my job has me on the road quite a bit. Luckily, however, it takes me to some really great places. Every February, LMU sends a delegation to Washington, D.C. to participate in a ceremony at the Lincoln Memorial. 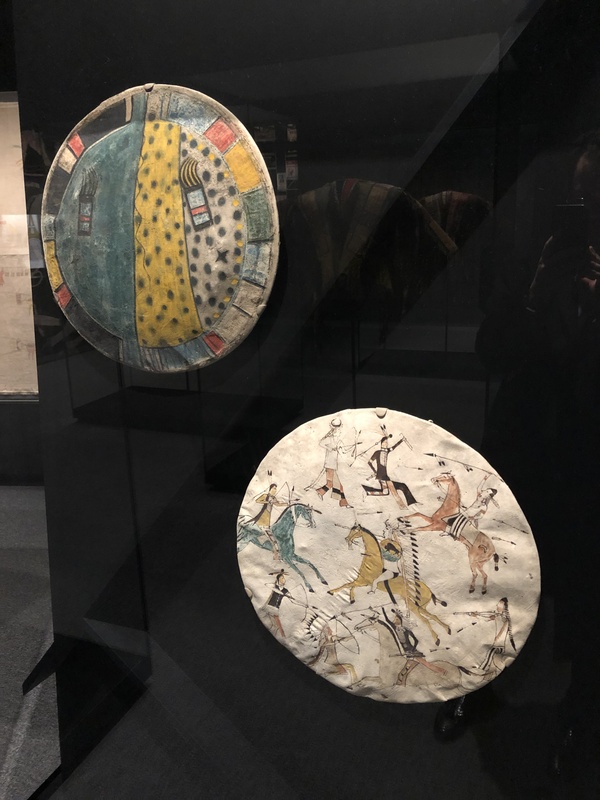 It’s a great opportunity to hit some museums. 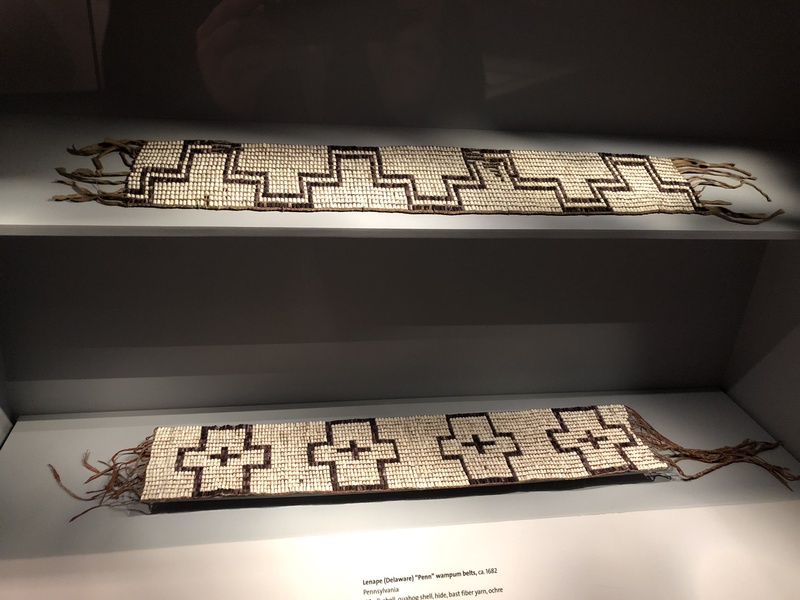 This year I visited the National Museum of the American Indian. 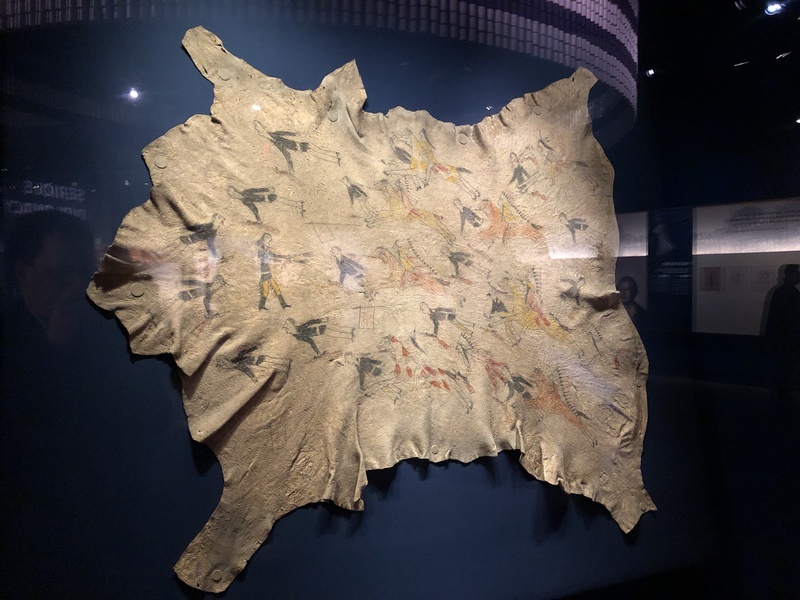 I particularly enjoyed the Nation to Nation exhibit, which examines the history of treaty-making between tribes and the U.S.
Let’s take a look at some artifacts.